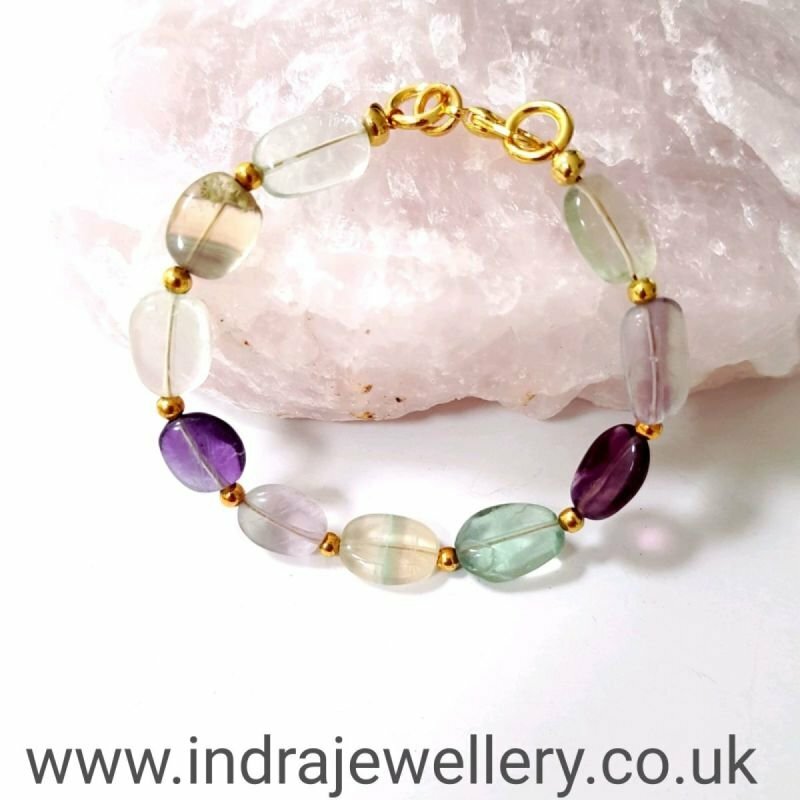 This is a really pretty little bracelet, it has been made with fluorite gemstone beads which are naturally a mix of subtle purples, yellows, greens and pinks. The fluorite beads have been seperated with little gold spacer beads to give this bracelet a gorgeous rich finish! This makes a perfect little gift which is affordable, pretty and unusual.